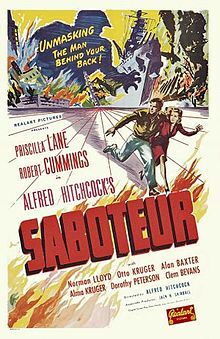 I should have posted a Hitchcock Haul over a month ago, because I watched Notorious over a month ago, but, to be perfectly honest, I fell asleep during it and haven’t felt like rewatching it since. 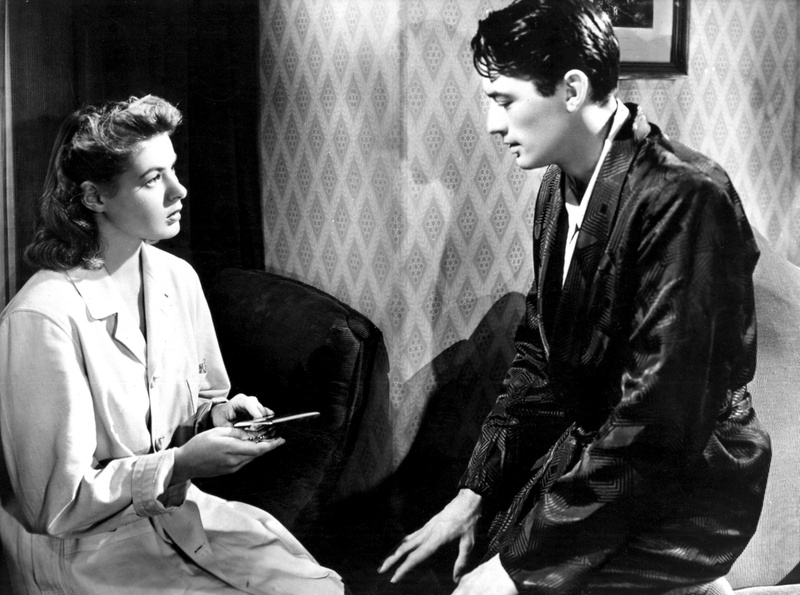 So instead I’ve decided to move on to Hitchcock’s Spellbound, which also stars Ingrid Bergman and a very young, very hansom Gregory Peck. 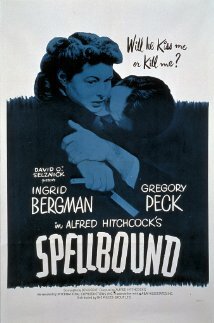 Spellbound feels like how a Hitchcock should feel: suspenseful, overwrought, and just a little bit ridiculous. Dr. Constance Petersen (Bergmen) is a psychologist at Green Manors mental institution located somewhere in Vermont. When a Dr. Edwardes (Peck) arrives as the institution’s new director, it is very clear that there is something wrong with him. He doesn’t seem to know his own professional achievements, or the difference between certain psychological diagnoses. Dr. Murchison (Leo G. Carroll), the former director of Green Manors who has been asked to retire, admits that he has never met Dr. Edwardes and isn’t entirely sure why he is acting so strangely. This does not stop Dr. Petersen from accompanying Dr. Edwardes on a lovely picnic where they get very excited about liverwurst. And this liverwurst was apparently so delicious (hilariously, this is not a euphemism) that she falls in love with him. When he starts experiencing unexplained fits of panic and paranoia, and confessed that he is not the actual Dr. Edwardes, Dr. Petersen is dead set on curing him. I hope everyone had a wonderful Halloween weekend last week! I know I did. I obviously meant to post this last Tuesday, but my life seems to have grown much busier lately, and I have a harder time fitting everything in. Better late then never, right? So, last year for Halloween I watched Hitchcock’s Psycho. This year, I thought it would be a good idea to watch the other film people generally regard as one of his “horrors”, The Birds. 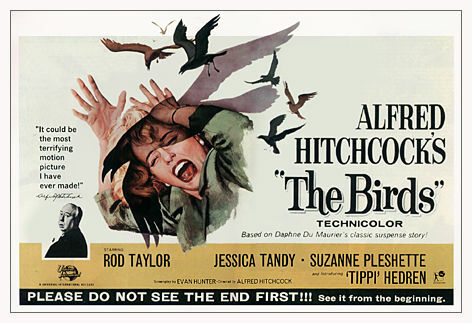 I had never seen The Birds before, and I really had no idea what to expect. The concept seemed incredibly ridiculous, and yet it’s based on a story by one of my favorites; Daphne du Maurier. If you all remember correctly, she wrote the novel Rebecca, which was also adapted by Hitchcock and won him his only Best Picture Oscar. 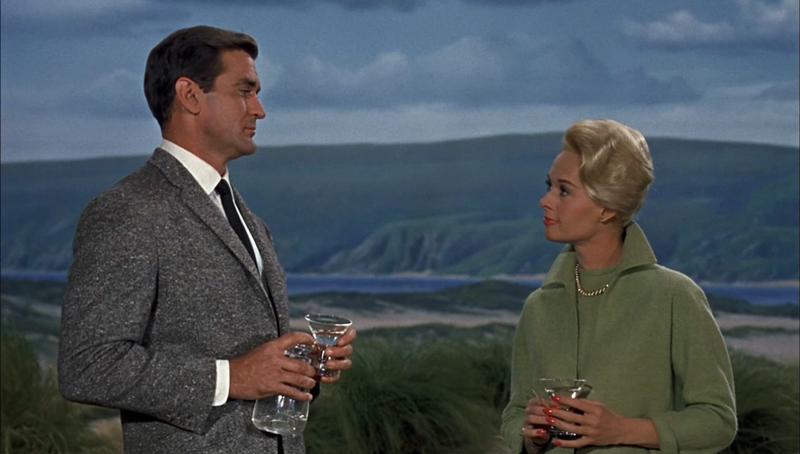 The Birds opens with a minor (and perhaps adorable) confrontation between Tippi Hedren‘s spoiled socialite Melanie Daniels and lawyer Mitch Brenner (Rod Taylor) in a pet store. Mitch does not approve of her over-the-top practical jokes (that seem to have landed her with criminal charges), and Melanie is both annoyed and fascinated by him. As a form of revenge and flirtation, Melanie buys a pair of love birds and attempts to leave them at Mitch’s door, but when his neighbor informs her that he is out of town for a while, she makes the slightly crazy decision to stalk him out in Bodega Bay up in Northern Cali. She goes all the way out there and tricks locals into giving up personal information about Mitch, his family, and where they live. Not creepy and violating at all. She then proceeds to break into his waterfront house and leaves the birds not for Mitch, but for his little sister Cathy. Sounds like all your exs, right?